By the end of the 2012-2013 academic year, the Colby College basketball team was facing a tough situation. They had won only seven games that year, players were skipping workout sessions, and some considered dropping off the team. Everyone was concerned, including the team captain Jonathan Kalin. Jonathan and I met two years ago when his car serendipitously broke down in front of my house. We became fast friends and now I advise him on the innovative program he started called Party With Consent. Party With Consent prevents sexual assaults on college campuses through training, student interventions, and event hosting. But our conversation last summer was focused on basketball. 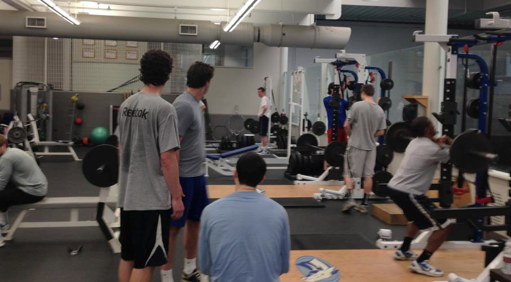 The team’s regimen included grueling 6 am workouts. These were the ones people were missing, causing Jonathan to question his teammates’ character and dedication. Recalling the success Dr. James Maas recorded when he shifted the sleep schedules of olympic athletes in his book Power Sleep, I suggested that 6 am is not a great time for most people, especially college-aged people, to be awake. Asking kids who need 10 hours of sleep to wake up at 5:30 am is not just hard for them, but it could also be unhealthy. Their performance will wane, and now we’re judging them not on their basketball skills, but on their ability to operate on little sleep. As soon as he was back on campus, Jonathan replaced the 6 am workouts with 7 pm workouts. That single change improved morale and attendance right away. The larger impact was equally impressive. Where they won only seven games the previous year, by the end of this year they won fourteen games – a 100% increase. Their points per game increased 17% (from an average of 64.2 to 75.2), and they were both more aggressive and more accurate on the court (they took 672 shots and made 45.5% of them, where last year they took 545 and only made 39.5%). They got more creative, too. The Colby bench made headlines with their unorthodox, super energetic bench celebrations. The team was featured on ESPN a for gleeful partying when their team made a killer play. This is not a team that just won more games; this is a team that’s connected, engaged, and having a really good time.